We are sad to say that Allen passed away on October 23rd, 2010 at the age of 83 years after a valiant struggle with kindey and cardiac failure. Born in Placerville on November 9, 1926, grew up in Sacramento, and passed on Oct. 23, 2010 at the age of 83 from cardiac and kidney failure. Parents Glenn and Carrie Gray and brothers Norman and Wally preceded him in death. Brother to Jean Coma of Sacramento. 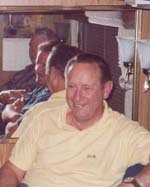 Allen was the husband of his beloved wife Lillian Gray and father to sons David and Michael Gray and to daughter Carol Morales (Matthew) and granddaughter Vanessa Morales. Allen attended Theodore Judah elementary, Kit Carson Jr. High, Sacramento High, Sacramento Junior College and CSU, Sacramento where he earned his MA in English and Education. 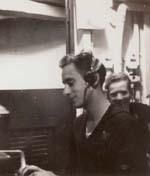 Allen served in the Navy as a Radioman on board the U.S.S. Cabildo (LSD 16) in the Philippines and Okinawa during WWII. Allen worked as a California State Park Ranger before accepting a position at Galt High School, where he served as a teacher, counselor and administrator for 38 years before retiring in 1992 and returning as a Docent and Park Aide at Sutter's Fort. Allen was always a gentleman, a shy, sensitive, quiet man who loved his family, liked books, travel, the mountains, the sea, teaching and counseling young adults, history, genealogy, old movies, Broadway musicals, and big band music. Allen belonged to the California Retired Teachers Association, CSUS Alumni Association, Veterans of Foreign Wars Post 67, American Legion Post 61, Sierra Club, Sons of Union Veterans of the Civil War, Caledonian Club of Sacramento and the Sacramento German Genealogical Society. In lieu of flowers please send a small donation to the Lillian Barkley Memorial Book Scholarship Fund at Galt High School, 145 N. Lincoln Way, Galt, CA 95632.